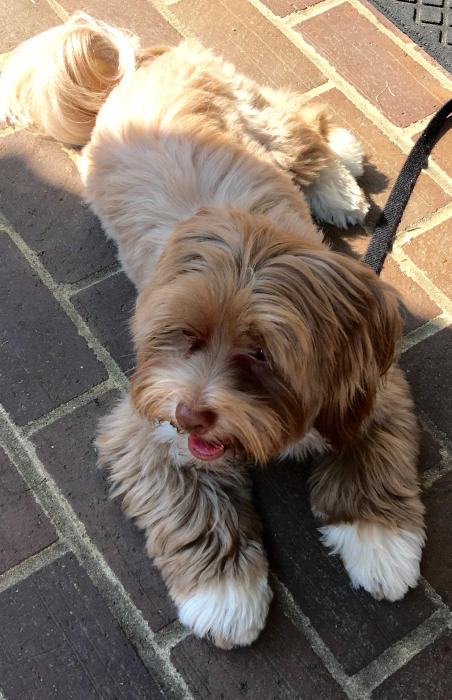 Welcome to Colonial Havanese where all of our puppies are lovingly raised in our home within a couple of minutes of Historic Colonial Williamsburg in Virginia. We are a small breeder who believes in honesty and integrity. We raise only the purebred Havanese; therefore we are able to maintain the highest quality AKC Havanese puppies to select families. We offer sables, black & white, and the rare chcolates. In November of 2013 we were personally inspected by AKC. We are very proud to say there were “zero negative findings” in their compliance report and we were rated in the top 5% of breeders our size across the US. Our Sire (Tickle) comes from a pedigree of past champions. Our girls are hand-picked nationwide from only the healthiest and sweetest temperament pedigrees. We provide our babies with round-the-clock love and attention in our home among our children, grandchildren and our friends so as to be totally socialized "fur-humans" with the most loving of temperaments for each of our forever families. Our first responsibility is to our babies. Our next responsibility is to our Colonial families now and forever. When I mention “Colonial families”, I mean just that. Since 2004, we have placed our babies with “forever” families in over 15 states nationwide. Many families have returned to us for that 2nd or 3rd puppy after finding out that just one is never enough. We feel each family is a large part of our immediate family and we maintain contact over the years through many different outlets. I strive to keep my response time to any question you may have to fewer than 10 mins if possible. We will not ship our babies; therefore each family will arrange to pick up their puppy, or have it personally delivered to their home by me. I will also refer you to another “reputable” breeder that we have a personal association with should we not have what you are looking for at the time. Our goal is to see that you get the forever baby that you so want, and not to just sell a puppy. I urge you to check out our web-site for more information and our pages on Facebook and Pinterest where you can interact with other Colonial families and see up to date pictures of our babies, both past and present. 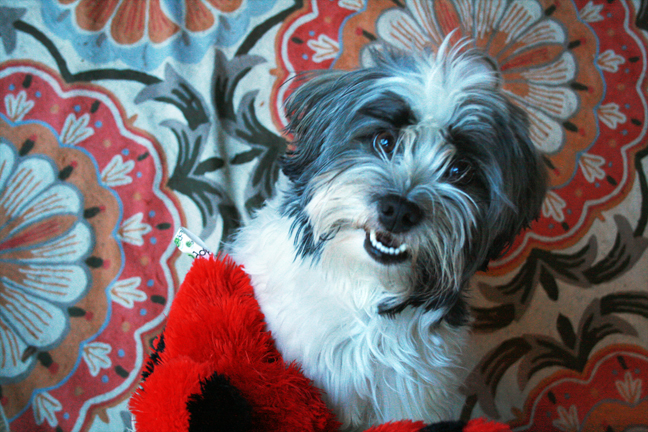 Want to message Colonial Havanese? Send him or her an email by filling out the form below! Colonial Havanese will reach out to you when he or she recieves your message. Connie - Posted over 1 year ago. Debbie is the most wonderful breeder you will find! Her dogs are super happy and healthy and her love for them is evident. She takes great care of the puppies' adoptive families too. From the moment the puppies are born, she keeps families fully informed of their progress and posts videos so we can get to know our puppy before we even bring him home. This has been the best experience, so much so that I feel Debbie is a friend. Highly recommend! Jane - Posted over 2 years ago. I knew I wanted a Havanese. As I called around Atlanta and could not find a puppy available within the next year, several of the breeders here recommended Debbie. And I am so glad. We ended up getting two - a brother and sister from the same litter. We could not have found better dogs. Debbie makes the process so enjoyable - you feel you get to know your puppies and her right from their birth. Our dogs are healthy, so well socialized, and thrill us everyday with their antics. It really pays to get a dog from a top breeder. I recommend Debbie to everyone who asks about our wonderful dogs. Cynthia - Posted over 2 years ago. 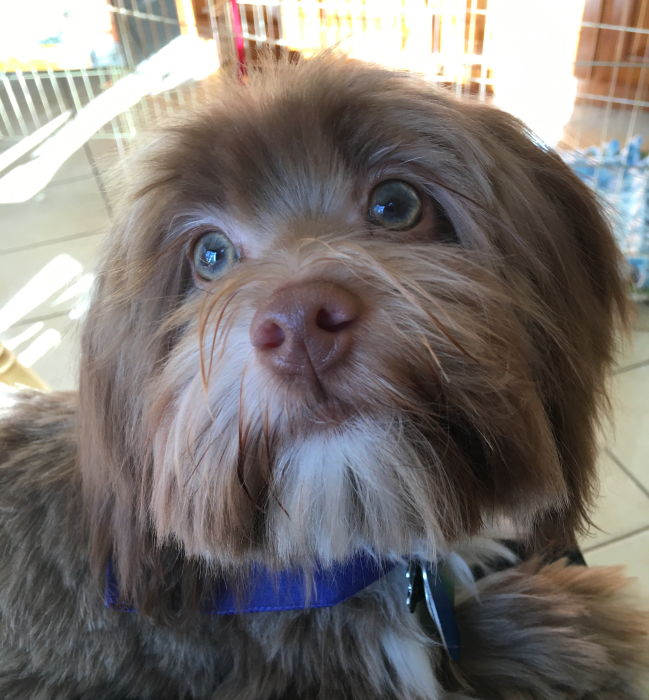 After extensive research & communicating with several Havanese breeders, we chose Colonial Havanese when deciding to add a second Havanese to our family. After talking with Debbie on the phone, I instantly knew this was our breeder. Debbie is so warm and friendly, knowledgeable & honest. She and her husband, Steve, provide their puppies with the most loving home environment. From birth until we brought Griffin home, we received pictures, videos, weight charts & vet reports. The Ross's make you feel like part of the family. Griffin is the sweetest little guy ever & the transition from "Grandma & Grandpa Ross's home to ours was seamless. 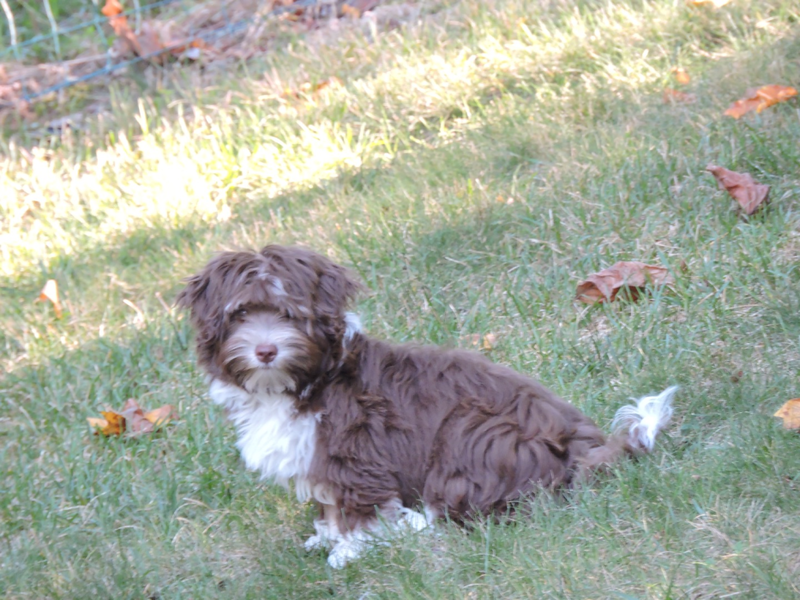 I would recommend Colonial Havanese, hands down, if you are looking to bring a sweet little Havanese into your life. Julie - Posted over 2 years ago. Our experience with Debbie and Steve was wonderful. Debbie made sure we were involved in every step of our puppy's birth and daily activities. She sent pictures and videos every week and was so warm and welcoming when I visited our sweet Bodie when he was 5 weeks old. Bodie is the sweetest, most loving little dog. I cannot say enough about Colonial Havanese. Lisa - Posted over 2 years ago. I would absolutely recommend Debbie Ross at Colonial Havanese. She is a wonderful breeder. She loves her dogs and is very informative and honest. She sent photos every week along with a nice note on how our puppy was doing. She would be happy to answer any questions you may have. One thing that was really important in our decision to get a puppy from Debbie was that she encouraged us to come anytime to visit with her and meet the parent dogs. When we did get Rudy, I was so happy to see how nice it was and how loving all her dogs were and how loving she was back to the dogs. She also likes to stay in touch with all the families that adopted her puppies. She loves to hear from everyone and wants to help if we have any questions. And......we absolutely love Rudy. He's 14 months old and is so well behaved and so much fun. He also loves to cuddle and loves to get belly rubs when he meets someone new. You can't go wrong with choosing Debbie Ross at Colonial Havanese. I highly recommend her. Ellen - Posted over 2 years ago. I got my puppy, Lily. 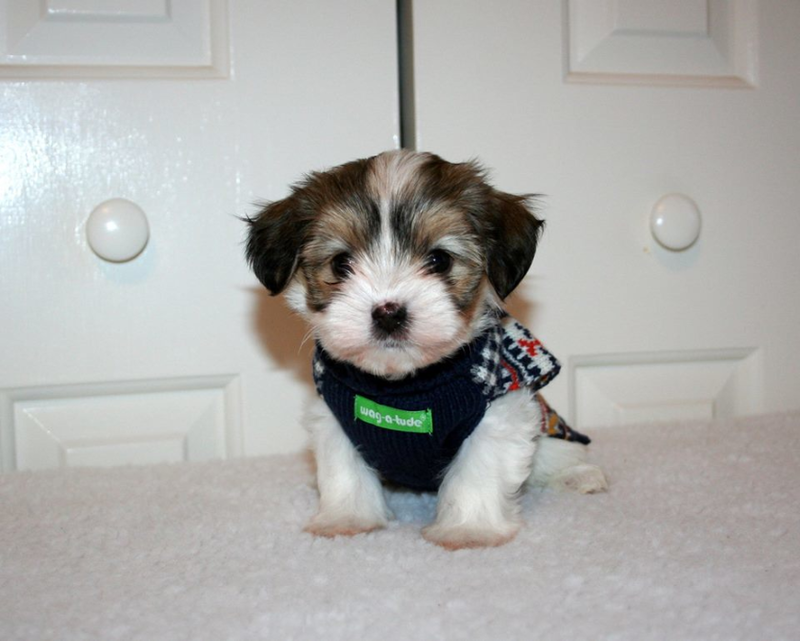 from Colonial Havanese. I live in Florida. I was looking for just the right "home" raised puppy.I had to search over many states to find them. I couldn't have asked for anyone better ! You are so involved in your new baby's life. They are raised with so much love!!!! 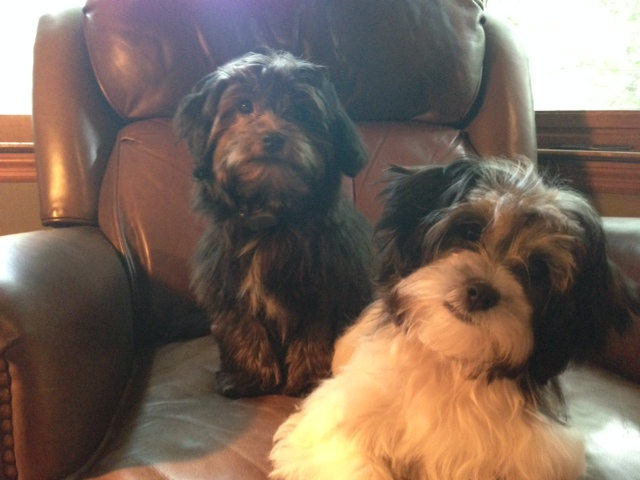 When the time comes that I am able to have another Havanese I wouldn't go any place else ! Grandma (aka Debbie) loves and cares for each and every puppy as if she is their Grandma ! By the way, my puppy flew home without any problems. She was so good the whole trip !!! Suzanne - Posted over 2 years ago. 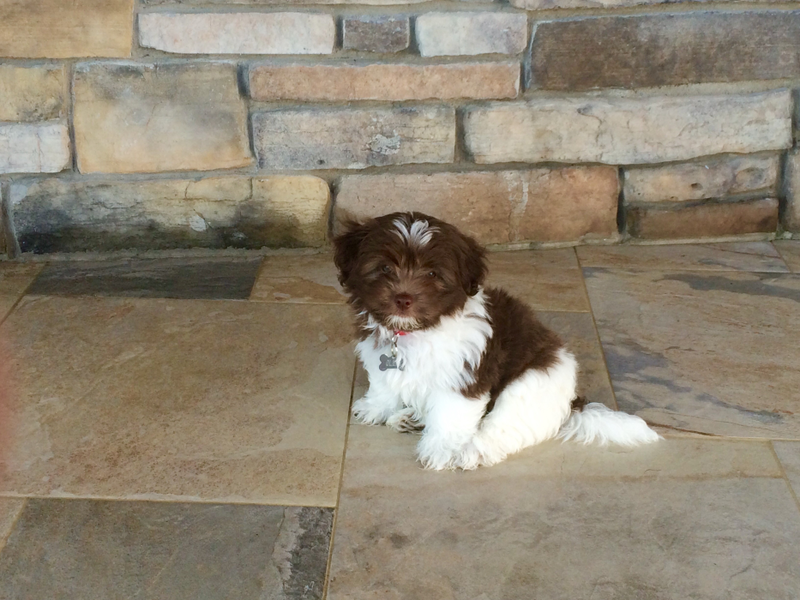 Ollie ~ our puppy from Colonial Havanese I am so happy and feel blessed to be a part of the Colonial Havanese Family! 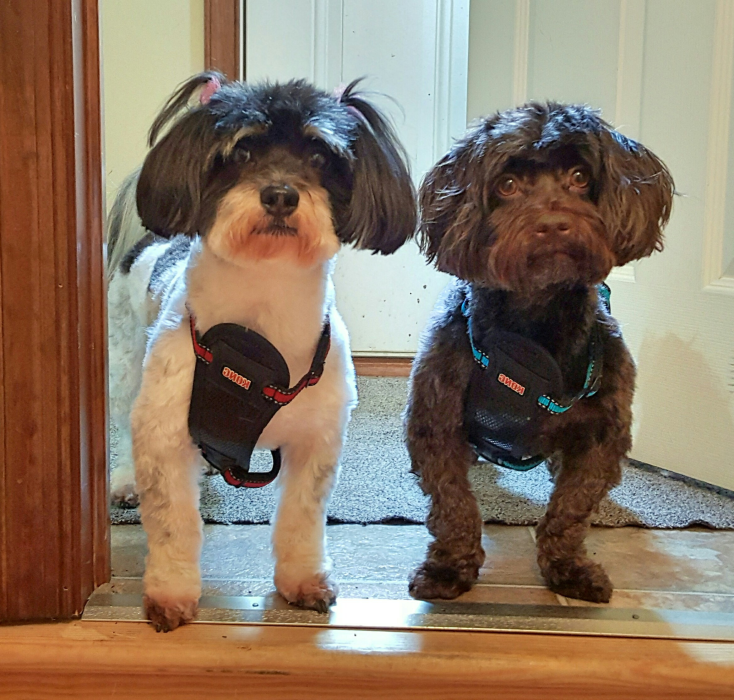 Debbie Ross (aka Grandma) and her husband, Steve (Grandaddy) are very reputable and the perfect parents for their Havanese pets. And Debbie's dogs ARE her pets; in a family operation that are cherished members of her family, living with them in their home. I was looking for a breeder that matched my values relating to the care and love of my own pets. Colonial Havenese have exceeded my expectations. From the very beginning, Debbie took the time to understand exactly what we were looking for in our puppy. She is very patient and answered all of my questions as well as gave me many documents to be ready for the care, health and well-being of our puppy. We were looking for an adorable, sweet-natured and smart baby to be a loved member of our family that will someday also warm the hearts of patients, children and elderly as a therapy animal. Debbie kept me posted on each of her litters, to be sure that I was matched with just the right puppy. Debbie communicates every aspect of the puppy's development, from the moment that the Mom goes into heat, becomes pregnant, with ultrasounds of the puppies in-utero, until the moment that the puppy is born. Once the babies are born, every week we received updates on our puppy with pictures, weight and other critical information. She also welcomed us into her home to visit the puppies and dogs before they were ready to go home, which gave us a chance to get to know our puppy, Ollie! From the moment we brought Ollie home, he has been a match made in heaven. He is so well-adjusted...very easy-going and sweet, entirely crate-trained and well into mastering potty training at only 9 weeks old. Debbie introduced household noises to him as a young puppy, and as a result, he is not afraid of typical sounds, or even thunder. I would recommend Colonial Havanese to all of my friends. Jennifer - Posted over 2 years ago. 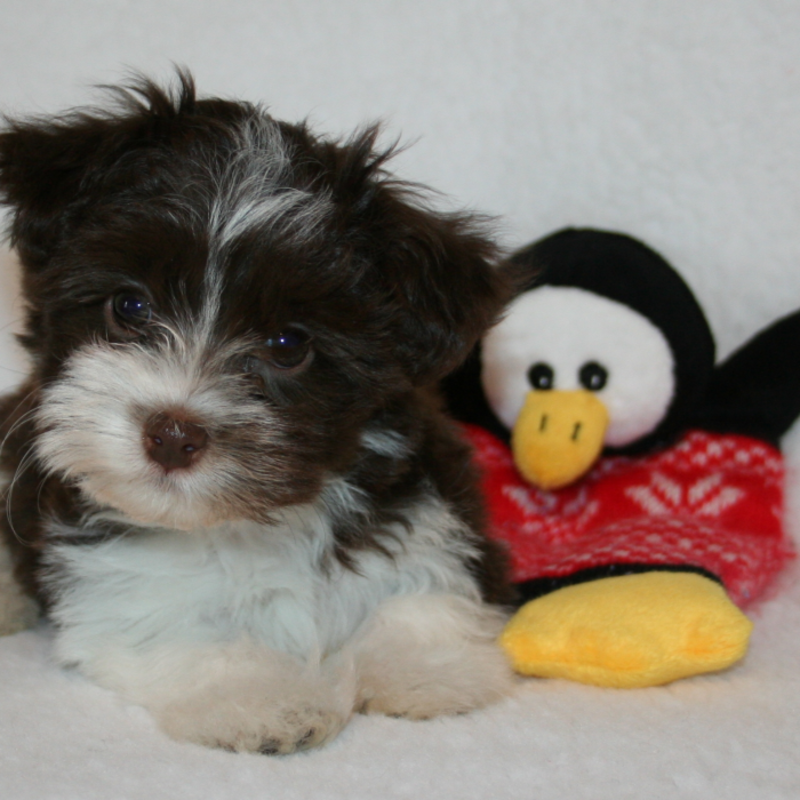 Colonial Havanese is not "a breeder" - they are family who allow a piece of their family into your home. The experience of dealing with Debbie with Colonial Havanese has genuinely been one of the most rewarding experiences of my family's life. I knew I wanted a particular color and gender for our puppy - I contacted Debbie and she worked with me for months, tirelessly answering my millions of questions and keeping in touch with me to let me know exactly what to expect when to expect it. I was able to be first pick on a litter, and my puppy happened to be the first born - when he was born... Debbie let me know that he was everything I told her I wanted. She knew my heart and legitimately cared that I did not settle for less than I wanted. The time and energy that Colonial Havanese puts into their pups will be something that will bless your family for many years to come. I have 2 small children and it would have been so difficult to make the trip from Georgia to Virginia to pick up my baby... Colonial Havanese personally delivers. Don't settle for less... they are absolutely the best! Timothy - Posted almost 3 years ago. We purchased the sweetest little girl from Debbie 6 years ago and love her so much. So 4 years ago we got a sweet little chocolate boy. They are healthy happy loving little pups. We would buy from them again if and when we want another. Havanese are like Lays potatoe chips you can't have just one. Lisa - Posted almost 3 years ago. Although I've only done rescues in the past, I really wanted a Havanese, and wanted to make sure I got one from a reputable place. I got lucky and found Colonial Havanese about an hour away from my town. I visited their place (and they acted like that was the most normal, obvious thing to do in the world!) before making a decision. I ultimately did get my sweet baby, now 5 years old, from them. I visited many, many times while waiting for her to be old enough to come home with me. The dogs live in the house, not some kennel. The whole place is immaculate. All of their animals are clearly well cared for -- healthy, well-groomed, and sweet. I got to meet both of the dog parents and spend time with them. I still keep in touch, and send photos back of my baby. I highly recommend Debbie and Steve at Colonial Havanese.